We have a like-new condition HKS VAC (Velocity Advanced Computer) for the Nissan GT-R (CBA-R35).The HKS Velocity Advanced Computer functions to cancel the speed limiter of the R35 GT-R which is factory set at 180km/h. The vehicle's CAN-BUS signal is controlled with HKS original system to cancel speed limiter safely. Installation is very simple, as it just requires connection of two CAN signal wires, power and ground wires. 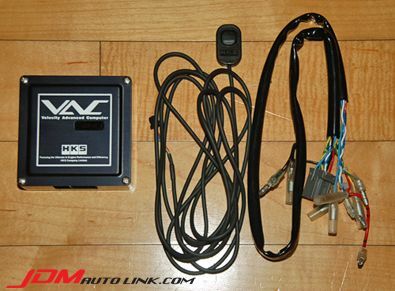 Besides speed limiter cancellation function, it also have the vehicle speed signal output function and a speed limiter cancellation function ON/OFF switch.HKS Velocity Advanced Computer is an add on computer thus even if data/software of the stock ECU is upgraded, functions of speed limiter removal will not be affected. - Connect wires to ECU harness located in foot space of passenger side. - Connect two wires of CAN-BUS signal, power and ground wires. 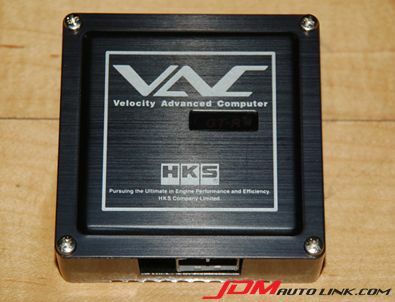 The HKS Velocity Advanced Computer sells for JPY 126,000 / USD 1,560 when new. We will be selling this at a fraction of that price. 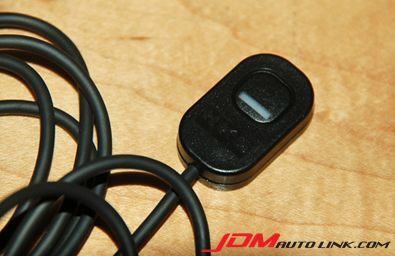 If you are interested in this device, email us at sales@jdmautolink.net for pricing and delivery to your location.